fall, which lead to my making a curried butternut squash soup. By the next session we had both made the soup and she had the great idea of adding chicken and rice to the soup. I told her I was stealing her idea and went home and made curried butternut squash soup with chicken, rice and spinach. 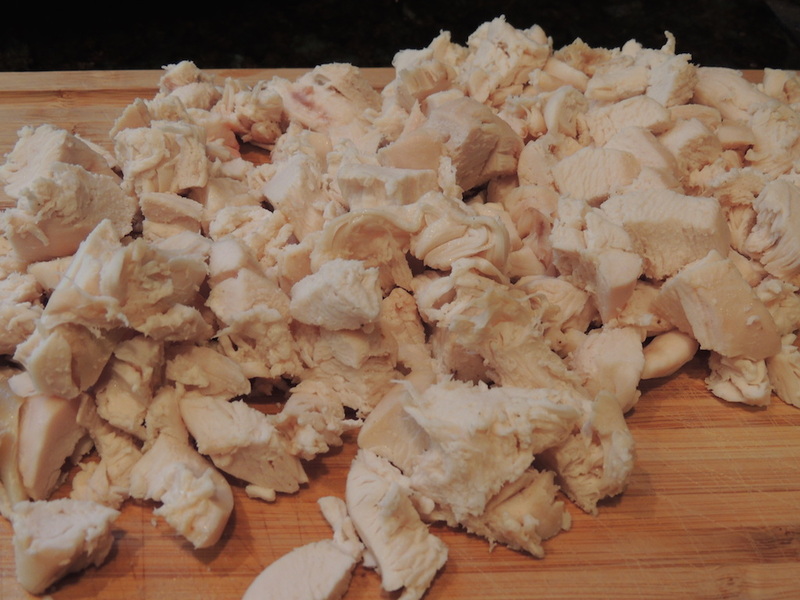 I didn’t want to roast or poach a chicken, so I bought a store-roasted chicken and chopped up the meat. 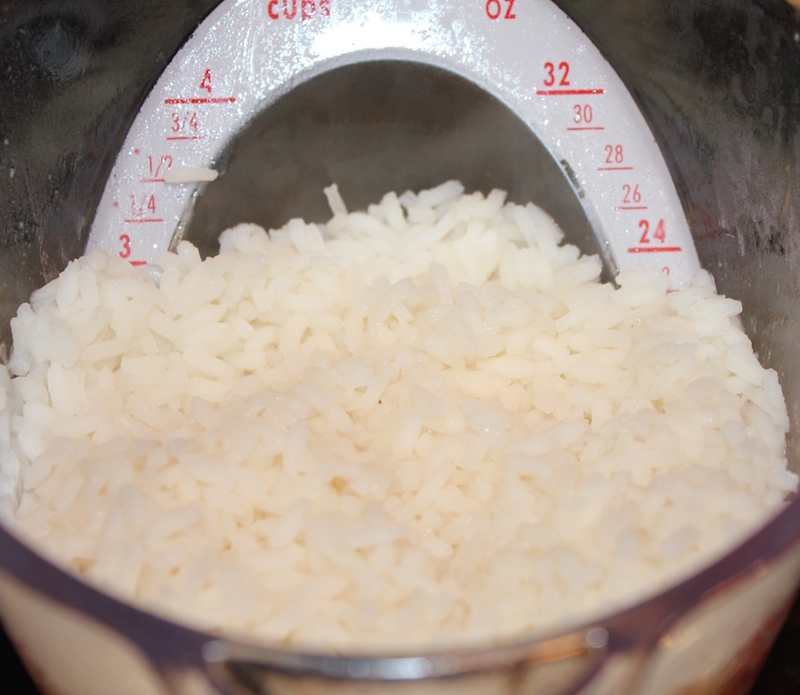 I used the pasta method to cook one cup of rice, which yielded three cooked cups. 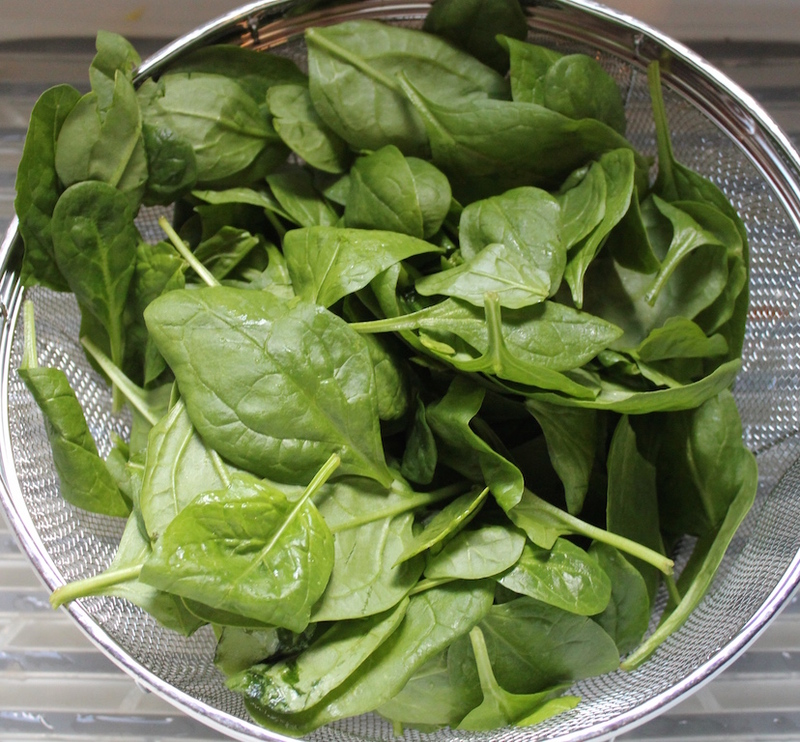 Finally I tossed in ten ounces of fresh baby spinach. This butternut squash soup with chicken, rice and spinach is a hearty meal and it always nice to repurpose a recipe. Add these three ingredients to the Curried Butternut Squash Soup recipe for a hearty main-course dish. Stir in the chicken, rice and spinach. Cook until heated through.